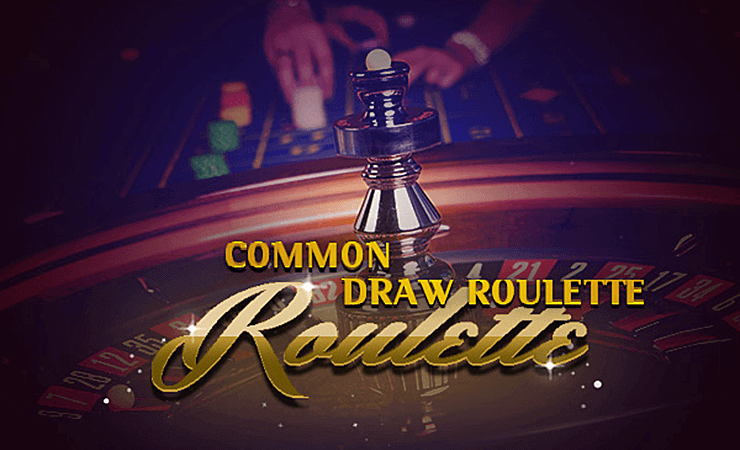 Common Draw Roulette by Betsoft is the multiplayer version of the popular casino game with the same name. The game follows the rules of European roulette, which means there is only one “0” on the wheel. (American roulette has two zeros, which lowers your chance of winning.) Common Draw Roulette has a pretty basic (but useful) interface. To the bottom left, you can see the other players and chat with them, if you want. To the upper right, you can see a zoomed in image of the roulette wheel. The roulette table is located in the middle, which you will place your bets. The game is called “common draw” because the roulette wheel never stops. Whether you are betting or not, it just keeps turning. Each round lasts for 32 seconds, and you can place your bet until the last five seconds. Hop in, play a game or more, watch the table and chat with other players – it is up to you. The multiplayer aspect of the game is good and allows you to socialize at the same time. You can bet between 1 and 500 coins for each section at the table. To start the game, click on the poker chips which are at the bottom right. The chips are your wager, and you need to “place” them on the table by clicking again. You must bet on at least two sections at the table. It is possible to bet on either a single number or a range of numbers, the colors (red or black), or whether the outcome will be an odd or even number. Each one has a different payout, based on the possibility of that outcome. For example, betting on a single number has the maximum payout, while betting on colors has the lowest. You must click on the “confirm” button to finalize your bet. After that, just wait for the round to finish and continue playing. The chat box to the bottom left also has a “statistic” table, which shows you the most “lucky” numbers so far. You get 1.000 coins to play in the demo mode, and the experience can last for hours if you are lucky. We liked Common Draw Roulette, it has many extra features and allows you to play with other people. Highly recommended, especially if you like to play roulette games online.